Mixin Mingle is a great place to have birthday parties for kids. You can rent the room and have entertainment, food and beverages and more. 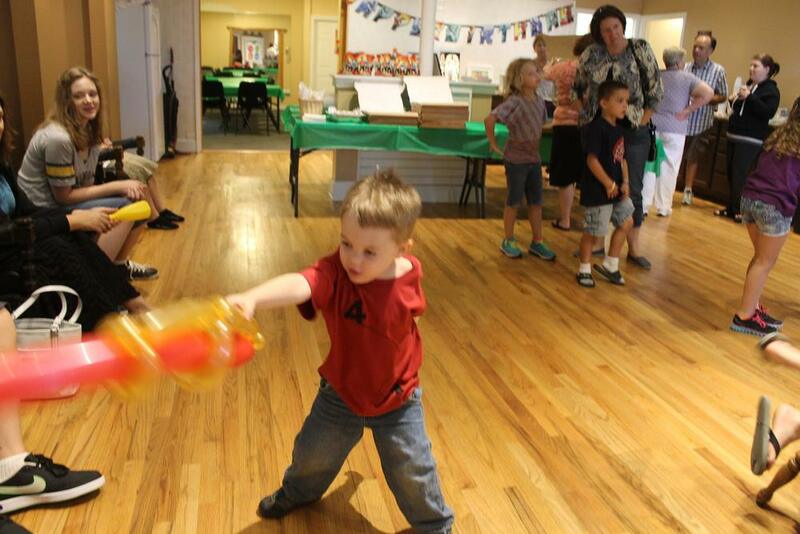 Logan had his 4th birthday party and all his friends and family came. RC Juggles Entertainment is a local balloon artist who made sculptures for the kids and put on a magic show with juggling and yo-yos. There was time for socializing, playing, food, cake, presents and fun.